I meant to write this post several weeks ago. time to tap my thought upon a keyboard or the words shouldn’t be shared. Here’s hoping it’s the former reason. In my last post, I wrote about our late August trip to the beach. on land, more specifically the boardwalk area of Seaside, Oregon. Allow me to back track for a moment. the days, we spent a little time in an arcade. of tickets compared to the “price” of the prizes lines up the way you hope. but this time we grabbed one of Caleb’s friends Archie. be attending middle school with Caleb. snacks, and headed to the arcade. the coast. I will completely own being a Pacific Northwest hot weather baby. throwing balls at rows of stuffed clowns. became available, Carl asked me to join him. team and added to the ticket booty. my lack of height) and I consented to his strategy. demonstrated his superb crushing skills. I was able to assist as each row was resurrected to be clobbered once again. I could feel a small crowd gather behind us, but we kept throwing and chuckling. the score to earn 500 tickets. Carl suggested playing once more while I worried about the people waiting in line. But he slid his card as the tickets continued to spit out from the machine. And they kept coming out of the machine. And they kept coming out of the machine without end. Carl and I looked at each other puzzled and wondered how could this be happening. behind us began to peer over our shoulders. We kept repeating that we didn’t win the bonus. But the tickets wouldn’t stop. Carl jogged over to the ticket counter and explained our plight. Carl came back and explained to me and the growing crowd. We were surprised and I have to say a bit embarrassed. they could have the game we had already paid for because we were done. My mood now matched Carl’s good one and I ran off to play one of my favorite games. and the boys alternately giving each other high-fives and giggling. They had just played Spin-N-Win. hoping to hit the smallest of slivers marked 250. Archie had just hit the 250 mark thus the cheering and the hand celebration. Caleb hit the 250 mark as well and there was more rejoicing and so many tickets. They played the game a few more times and never yielded the same results. and the boys each came home with a Oregon root beer mug and some candy. I wanted to share this story not because we won 1000 tickets playing 3 games. I wanted to share this story because of the two different responses. Carl and I were shocked and searched for an explanation for this unexpected windfall. Caleb and Archie were full of delight and joy. Caleb and Archie didn’t ask any questions, they simply received with open hands. a few shades of embarrassed. their necks to gain a better view. They didn’t care who happened to witness their victory dance. They kept trying to recapture the wonder whereas Carl and I scurried away. They never stopped smiling or saying it had been the best arcade day ever. high-five off to the side of the arcade. Where has my wonder gone? When did I become so concerned with what others think? 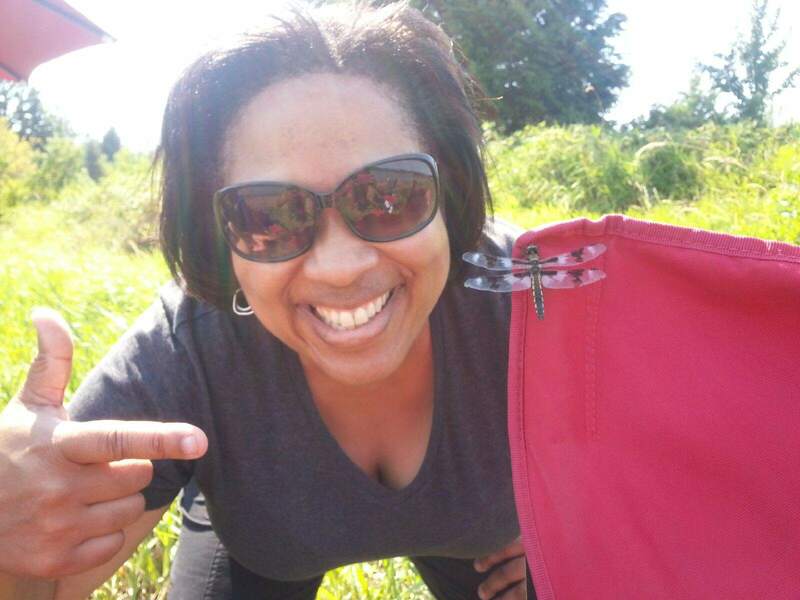 Who taught me to question unanticipated gifts? Perhaps I have taught myself this tragic opinion. Are you allowing wonder to be a part of your life? Do you believe wonder is simply child’s play? What has replaced your sense of wonder? Are you able to embrace unanticipated riches without embarrassment? every gifts you been given? I don’t mean tickets made of paper but the totality of your life gifts. Seek, pursue and hunt for wonder in the corners of your days. stop and gaze up at wonder. Break into a merry dance even if you are circled by spectators. Better yet spread the high-fives around the crowd. Wonder deserves to be uncovered and shared. us and then played the game vacated by Caleb and Archie. heads in tandem with ours. our shared sentiments of disbelief. it leaks onto others creating heart space only it can inhabit. What ball do you need to throw? What wheel do you need to spin? What button do you need to press? What mood do you need to release? stream pooling around your feet. I am squinting hard to see your moves. Oh, you are looking good! Last year was all about reaching the big 5-0. So I am embracing the age of 51 because now I get to sink into my 50’s. make noises when I walk. I feel the way 51 should feel for me, that is the best explanation. Oregon coast during the last week or so of August. and because my people know my heart belongs to the ocean. stake out our territory in as much solitude as possible. They ran with shovels towards the wet sand to dig the biggest hole EVER. Carl and I sat and breathed. I surveyed the other sand dwellers and one family caught my eye. bags, sand pails and two very excited little girls. to be quite a task as the wind began to gain strength. filling buckets with water for castle building. to alert us before they ventured into the water. you never turn your back on the ocean. and I happily joined him without hesitation. shoulders with her back to the ocean, reading a book. I feel your fatigue deep in my bones, in my soul. I have known the need to turn my back on majesty in favor of rest. exhaustion, but it’s not the same as when your children are very young. in playing with his daughters. each other a gentle smile as fellow travelers do. you spoke in a foreign tongue which I didn’t recognize. Mothering has no language barrier. this is what I would share, my gift to you, one I should have opened more often. Hang on to who you are in this season of high needs and demands. Hang on to the knowledge that today is not forever. yourself always calculates to zero. Yes to good enough over perfection. Yes to lived-in messy over untouchable clean. Yes to doing a few things well and letting go of the other things. No to being supermom or a martyr. No to finding your worth by attempting to do everything. No to obligation over calling. No to comparing yourself with other moms. not mass-produced but should be greatly loved. Remember to keep life simple. Remember to say thank you to your husband. ask and accept all that others want to offer. flies by? Well, it is true. children are the ages they are now. and you will be equally armed when you arrive at the later years. we think you are a wonder. So hang on, sweet mama. P.S. I have written so much lately about losing my rhythm in this season. I had lamented not planting my row of sunflowers along the fence. Time kept slipping past me to do such a simple task. But one day in July I believe, I decided to toss a few seeds figuring that by October perhaps a bloom or two would visit. I scattered mostly Mexican Sunflowers because I developed quite a crush on them last summer but the photo above was what greeted me on Sunday. August didn’t leave without a bloom erupting. God has been teaching me how small offerings left in the hands of the Maker can bring forth a different harvest than envisioned. I have missed the long row of towering sunflowers all summer but I am deeply entranced by this solitary flower bringing delight to a steadfast bee. 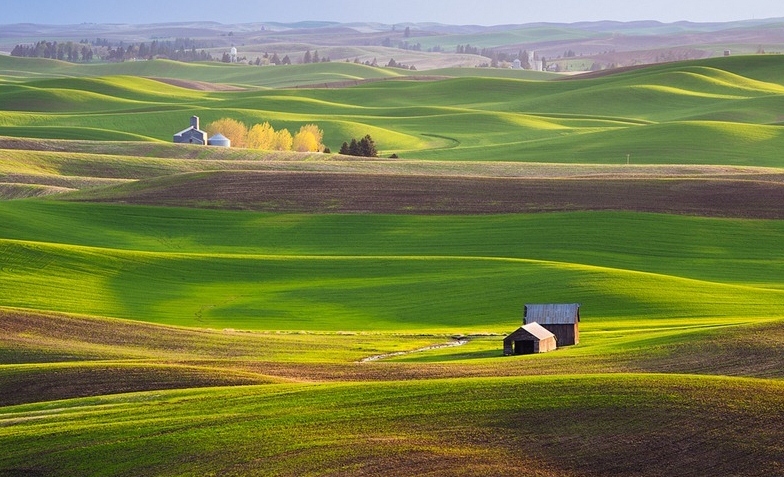 I grew up nestled among wheat fields and the rolling hills of the Palouse. and considered this view supreme. we were a mere 70 miles from the ocean. but the ocean is my soul’s sweetest spot. The force of the waves captivate and woo me. until I parted ways with this scenery. to a more preferable terrain. I overlooked the surroundings in which I was planted. the blue and white sky because I am so saturated by my own thoughts. Last week we were beach dwellers. feel cool breezes and don a sweatshirt if it was deemed necessary. If it was chilly or rainy, fine by me. enlarged by the sight of the ocean. On one particular day, we had the quintessential beach day. followed by jaunts of wave jumping and football throwing. that it only occasionally created book pages to flutter. lifted their face heavenward and dozed in sunny bliss. 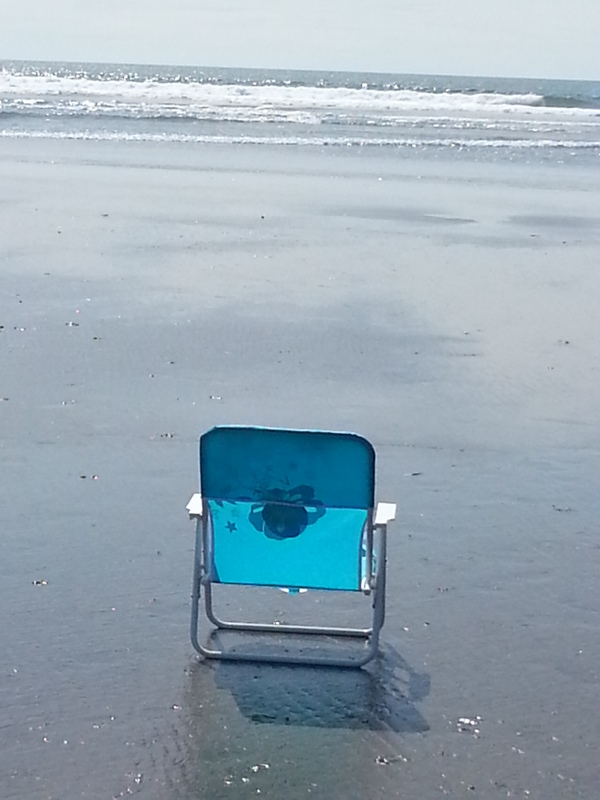 I spotted this empty chair from quite a distance. the image on my phone. I wondered where was the owner. Unable to the resist the pull of the tide? When I reversed my path, the chair was still unoccupied. returned to normal life back among the mountains. Am I sitting in the chair designed for me? Am I longing for someone else’s chair? seat sitting where it didn’t belong. 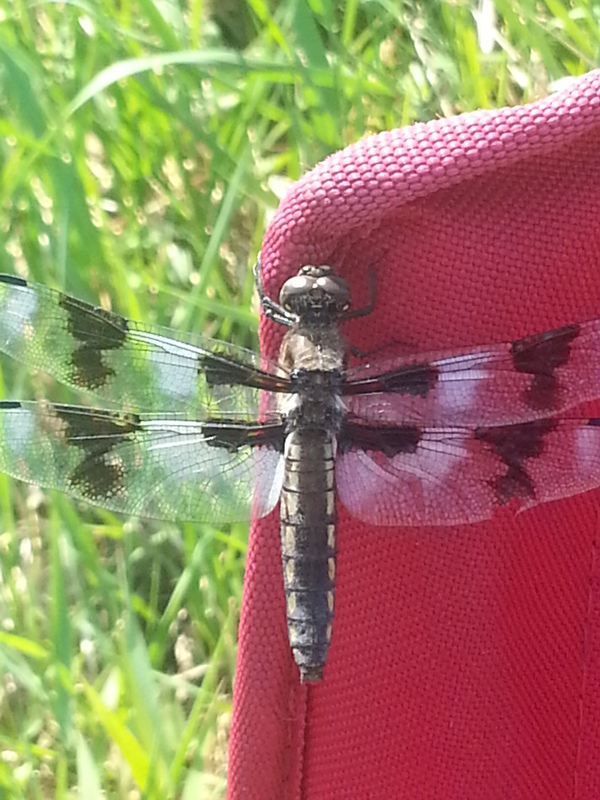 a drab forest green portable chair. dreaming of another land or seascape. how he has fashioned me. of looking over at someone else’s field of gifts. What does your chair look like? is it high-backed and seemingly uncomfortable? leaving you feeling unsure of its ability to hold you? has designed it perfectly for you. trying on other chairs hoping to find the one that is just the right size. your chair is directly in front of your eyes. The chair God has crafted is just right for your frame. Allow your eyes to scan the scenery. the people standing before you. by loving and caring for them as only you can.